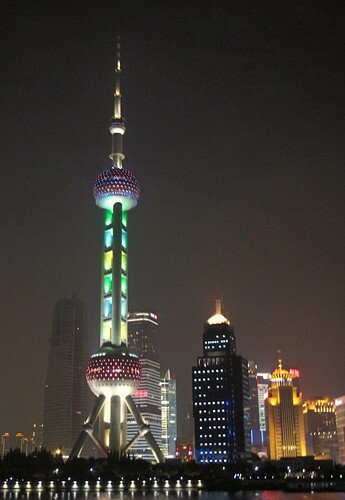 I don't think I have ever stayed so long in Shanghai - over a week. Shanghai is decidedly my favourite city in China. I like it because it is more cosmopolitan and it showcases the rich and colourful chinese culture in a manner that I can relate to - where I can pick out the charms and richness of chinese elements and still make them relevant to my lifestyle. 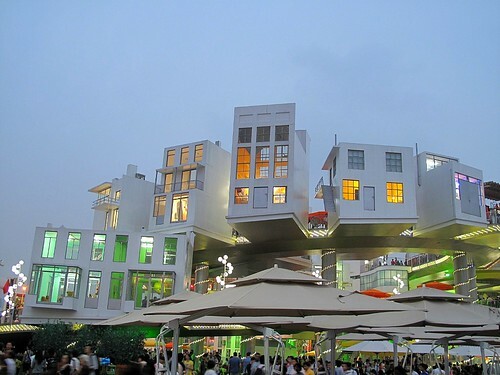 Unlike the polluted industrial zone in Guangdong where factories seem to run 24 hours a day, Shanghai, though, also polluted, exudes a unique refined grace. Despite its modern skyscrapers, Shanghai is the Chinese city where I feel a well coiffed, cheongsam clad chinese lady would belong. She would look grossly out of place e.g. in Shenzhen or Guangzhou. Grounded in Shanghai for meetings, it was only inevitable that I joined my other colleagues for an excursion to the Shanghai World Expo. I really didn't want to go, expecially during a weekend, because I know it would be sardine packed with people but my colleagues, including my boss from the US were all determined to check it out. 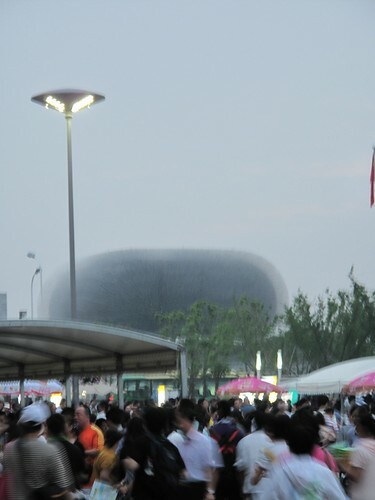 We chose to go to the Expo on a Saturday evening at 5pm to avoid the crowd. 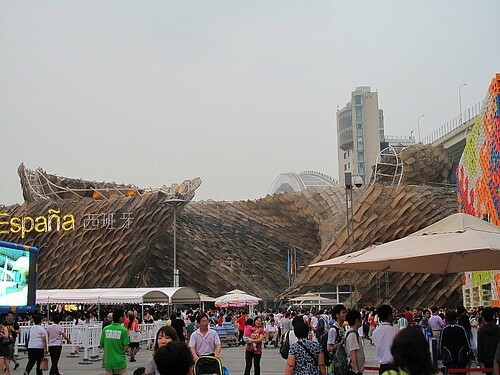 By 4pm, the news on TV reported that they had clocked in 520,000 visitors for the day. The area was massive and the crowd was even more massive. 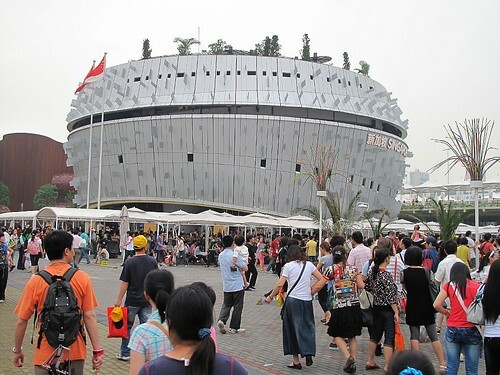 The first cluster we hit was the SE Asian Pavillions - yes, I admit I had steered the group towards that general direction because I had wanted to see the Singapore Pavillion which had received alot of flak from fellow Singaporeans, ourselves. I didn't stand a chance to get into the Singapore Pavillion or for that matter, any pavillions. The queues were still windingly long and I estimated that if I had queued for the Singapore Pavillion, I would have to stay in line for at least 2 hours. 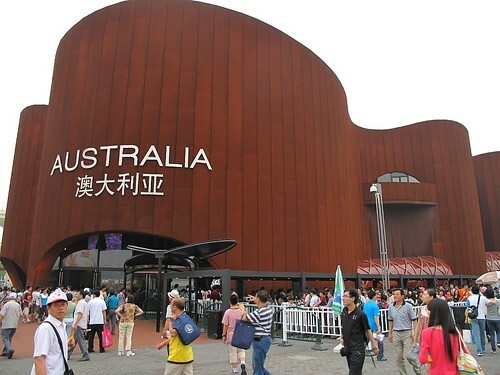 I had heard that for the popular pavillions like Saudi Arabia, Japanese and Chinese Pavillions, visitors have to queue for 4-5 hours to get in. It sounds so silly to be wasting time in the lines but there were hundreds of thousands of visitors doing just that - they came prepared with food, drinks, umbrellas, fans and little stools to wait in line. I, on the other hand, just walked around, half-heartedly snapping photos of pavillions nestled in a sea of dark haired crowd. China Pavillion with the Bunny Macau Pavillion next to it. 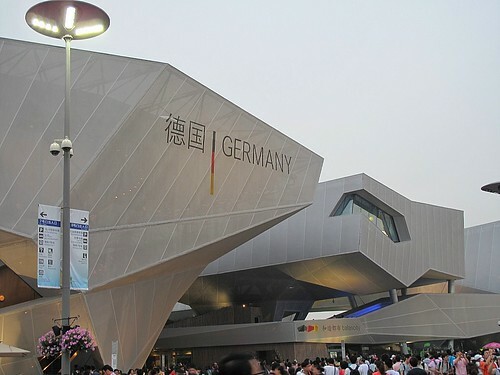 Among the Pavillions I had seen, I was most impressed by the Spanish and the English Pavillion. I was a little awe struck when the Spanish Pavillion came into my view. The facade was built with wavy sheets of wicker structure. I thought I could vaguely make out the shape of a bull's horn from the construction. The English Pavillion caught my eye from afar. From a distance, it looked like a fuzzy oval shaped dome, appearing somewhat surreal and out of focus. The intriguing structure is made of steel rods poking out of the the dome, the different distribution density of the rods, created a halo like effect around it. Utterly cool and very very fashionable. 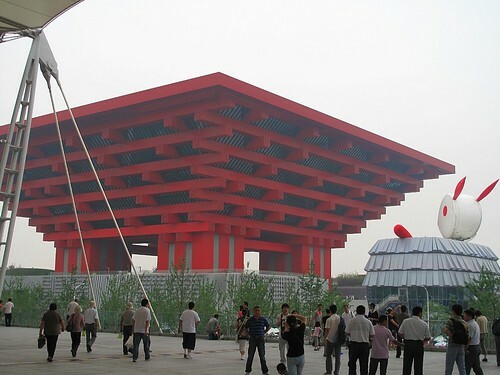 It was a shame that I had not been able to get into any of the Pavillions - I only wish that the Chinese government would limit the number of visitors per day. 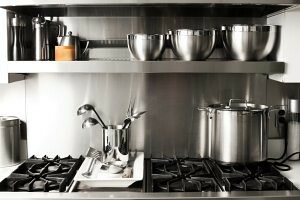 They are now targeting at around half a million visitors per day. For those of you who intend to visit the Expo during the month of July and August, good luck to you for school holidays have started in China and apparently many schools have made it compulsory for students to submit an essay on their visit to the World Expo.....Perhaps I will try to revisit the expo in September...fingers crossed. WOW! that looks like a fantastic event. The pavillions are awsome and beautiful. Lucky you...yes a pity you cld not get in....but its good enough to see all that. 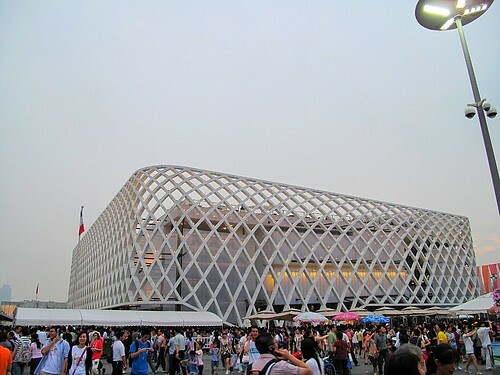 Its grandness reminds me of London's first great world expo a few centuries ago. 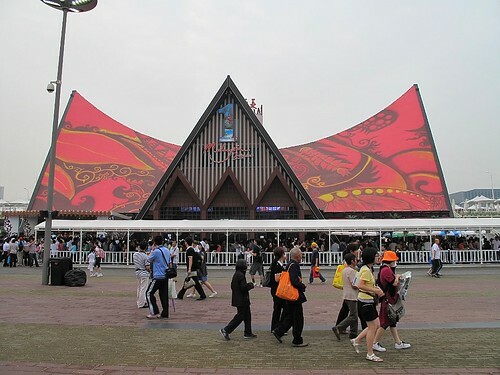 ..not that I was there..LOL...but the excitewment that teh Shanghai expo seems to exude seems reminiscent of it. Jane, I did not have problem with hotels but it was really very crowded. Shirley, love all your shots here! Thanks for the tour ... Haha!